This week I spoke with Cori Woloshun – Purchasing Manager of Lou Misterly Food Sales, Inc. 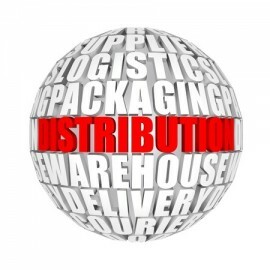 The company has been providing warehousing, distribution, and sales to the food industry since 1971. They specialize in direct store delivery (DSD) thrift store/retail chain distribution to the western United States. We had a discussion about lessons learned from their use of AdvancePro® software. It gave me the opportunity to better understand their business, how they use the software today, its business value to their company, and how AdvancePro Technologies can support their growth. What follows is a summary of our conversation. After considering other solutions, what made you decide on AdvancePro software? How are you using AdvancePro today? What changes have you seen in your business as a result of using AdvancePro software? “We have seen a dramatic improvement over the previous solution we used. Do you see your company expanding AdvancePro usage over time? e.g. : edi, b2c, b2b, mobile, extra warehouses, etc..
“We will be investigating B2B usage as we are gaining clients who refuse to do business any other way. Have you received the right level of customer support that you need, when you need it? “This is my favourite question. Sales was completely thorough and responsive in answering what might have been 50 questions. Would you recommend this solution, and if so, why? “Yes. It has what we need now and for the future. The support is unbeatable. I would like to thank Cori for her time, candor, and permission to share her experience with all of us. I would also like to invite other clients to call me directly and share their experiences. It is a way to help AdvancePro Technologies (APT) better serve you today … and in the future. I can be reached at mschlossberg@advanceprotech.com or 1-800-970-9071 x 102. Prospective clients interested in learning more about how APT solutions can deliver value to your companies can call the AdvancePro Solutions Consultants or me to learn more about how APT can help. They can be reached at: 1-800-970-9071 x 1. Why Your Company Should Invest In AdvancePro?AdvancePro Technologies is growing … one customer at a time.